i. Identify scientific knowledge gaps and set research priority agenda for CCTH. ii. Coordinate, undertake and promote clinical and health system/service research for evidence-based decision-making that will benefit patients, the community and contribute to scientific knowledge globally. 1. Create the enabling environment for research projects at CCTH. 2. Identify research gaps and potentials within and out of the hospital. 3. Provide leadership in setting research priority agenda for CCTH. 4. 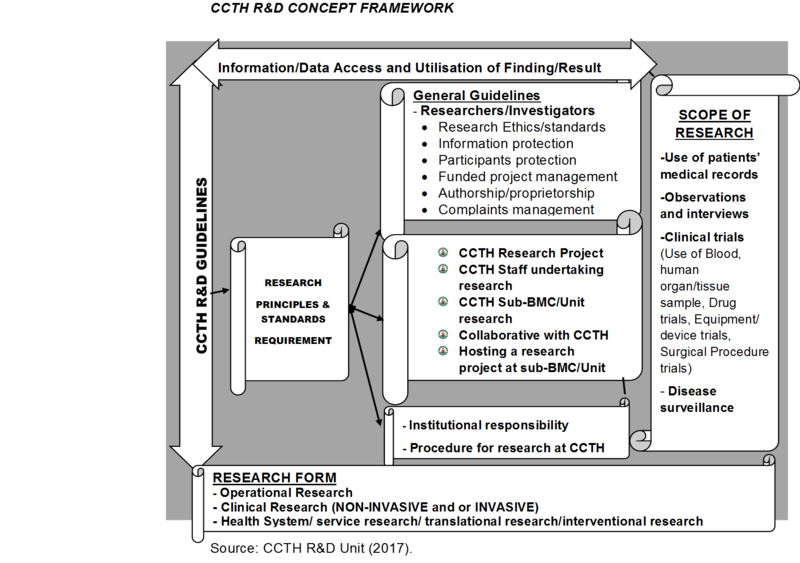 Coordinate all research activities at CCTH. 5. Undertake clinical and health system research in and out of the hospital. 7. Liaise with the research ethical review committee to ensure adherence of research ethics and scientific standards by researchers at CCTH.